I’m guessing I am the same as you. You are the one that is in charge of the family finances. The spending and the money saving. You’re looking for money saving tips. It can be stressful trying to balance the books, making sure everyone has what they need. That the bills are paid, your family are fed, have clothes on their backs, have a family savings pot for those ‘little emergencies’ and still have money left over to enjoy little luxuries. Yes, you read me right…luxuries. What are luxuries? Luxuries are things you consider an ‘extra add on’ to life after the basics such as food and having a roof over our heads. Luxuries make life that little bit more enjoyable. You know those things that make you happy, lift your mood. I know as a mum these can be rare and come far and few between but it can be done! I think we are all aware that the current economic situation isn’t the greatest. The price of living is going up and wages don’t seem to be matching it. Not only am I a mum of 5 and have a family of 7. I’m also currently a childminder to 18 children. Not only do I need to take care of my own family, but I have the responsibility of providing for other families too. So, how do I do it with 7 people in my household and a childminding business where I potentially feed and care for 23 children, including my own a week?! My families and the children in my cares well being is paramount. I like to give them ‘the best’. Now you must understand, everyone interprets ‘the best’ differently. For some parents it’s spending thousands of pounds on their families, for others it’s giving their families the bare minimum. We all have our morals, ethic and beliefs. We must respect we all parent differently. Either way it all costs money! Family Money Saving IS possible! Saving money for my family is important to me. I like to get the most of the money we have. I like to know I get value for money and I like to make my money stretch as far as I possibly can. To give my family ‘the best’ I can with the money we have. For me, ‘the best’ is providing and having quality time and making memories with my family. 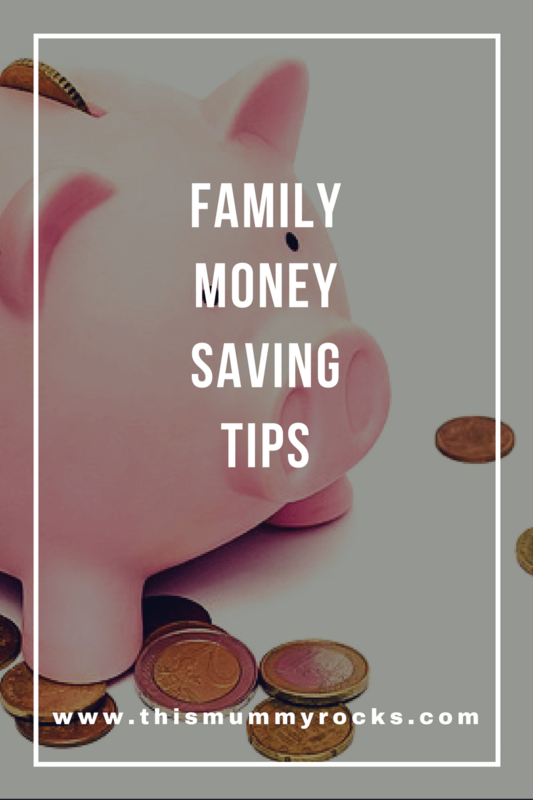 Here are some of my family money saving tips. Firstly know what money you have coming in and going out and on which dates of the month. If you are finding yourself ‘skint’ around a certain date, review your direct debits and standing orders. I could be worth changing the dates of some of them. Keep a track of your accounts. Majority of banks and building societies provide online banking. The beauty of this is that you have more control over your finances. Being able to check them 24/7 and being able to do a lot of the admin work yourself. Such as transferring funds, cancelling direct debits and opening accounts instead of visiting the bank. I find opening multiple online access savings accounts and renaming them for things I need to save for such as Birthdays, Christmas, Car Insurance, Holidays, School uniforms etc. I can then add funds to them as and when is possible. You will gradually reach your goal. Check out current accounts that offer rewards, cash back and other incentives that may benefit your family. Meal plan. Plan meals that you can make from scratch, batch make and freeze and that you can make ‘leftover meals’ from. Do your food shopping online. That way you can stick to your budget, buy only what you need. I find this works especially well alongside meal planning. Also, being a busy mum, finding time to go to the supermarket can be tough, especially with children in tow. Shopping online allows you to choose a convenient delivery time to suit you, from early morning to late in the evening. If shopping online doesn’t suit you, I recommend shopping around. 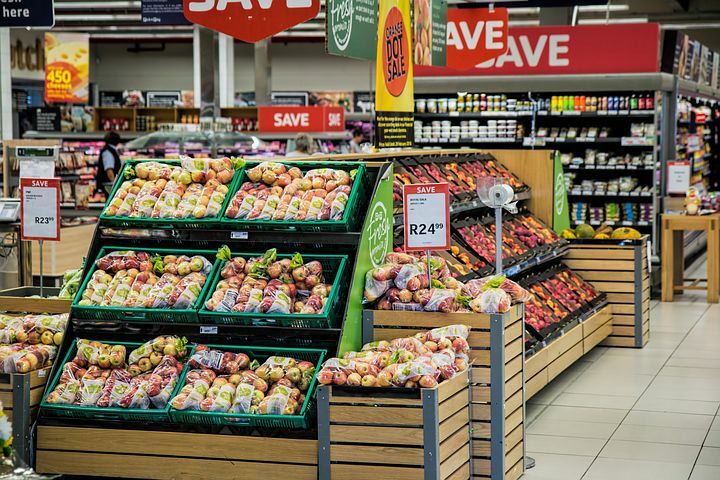 Know your supermarkets and their product options. Know where you can go for certain products at the cheapest prices. Buy supermarket own brand products instead of branded products. I have found that own brand products, have the same or similar ingredients as branded products. Nine times out of ten, own brand products are cheaper. Stock up on foods that can be kept, such as canned food and packet food. Look out for Buy One Get One Free, 3 for 2, discount prices etc. Buy products such as toilet rolls, washing machine products, kitchen roll etc in bulk. Get yourself a FREE food shop over 8 weeks by doing your food shop a day later each week. So week 1, go shopping on Monday, week 2, go shopping on Tuesday etc. By the time week 8 has come around you will have done 7 shops in 8 weeks! Hand me downs. There is no shame in hand me downs! Why get rid of an item of clothing or toys that are in perfectly good condition? I love to hand down things such as jeans and t-shirts as they NEVER go out of fashion. Plus, children aren’t fashion conscious. They don’t know about fashion trends and designer names. All they know is that they are clothed and warm. Mend what you can. Now this is when you get the old needle and thread out and think back to your home economic classes from secondary school. Repair holes, rips etc. 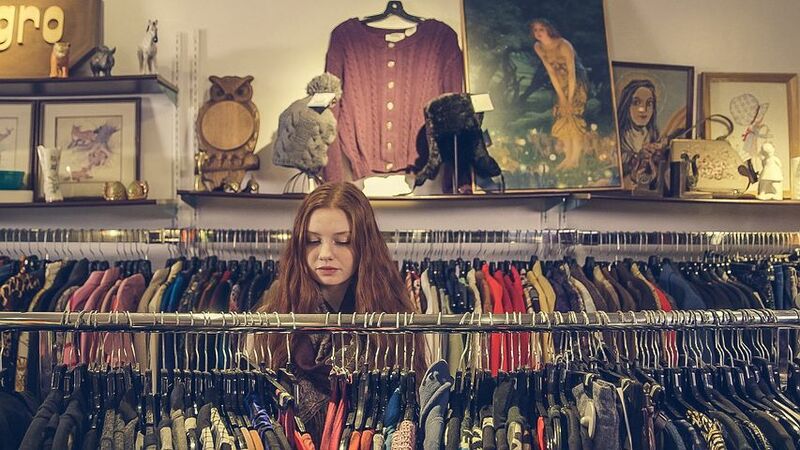 Buy and sell at charity shops, car boot sales, Ebay and buy and sell groups and pages on Facebook. You can find some treasures in theses places. You know what they say? ‘One person’s rubbish is another person’s treasure’ also again, who is going to know you have bought items second hand? I know my own children have never asked where things are from, they’re just happy to have what they have. Having a messy play day or a day in the garden? Don’t put on new or decent clothes, use old pyjamas as play clothes. Organise a swap or borrow with friends and family. Share the above online services with other friends and families as most of them allow you to log into 3 of 4 devices at a once. You could split the cost. Wanting to eat out? Look out for ‘Kids eat free’ and Happy Hour menus. Use coupons/vouchers or websites such as Groupon. Buy annual passes or subscribe to memberships to your favourite days out such as museums, theme parks and zoos. Have a family games night at home. Board games, card games etc. Have a family movie night at home. Download free apps for devices that are family friendly. Go to the local parks, walks etc. For longer than average journeys buy a Friends and Family rail card. There are so much more to add to the list. I hope that these Family Money Saving Tips have been helpful and useful. I’d love hear about your stories regarding any of my tips you have tried and tested or any of your own hints and tips. 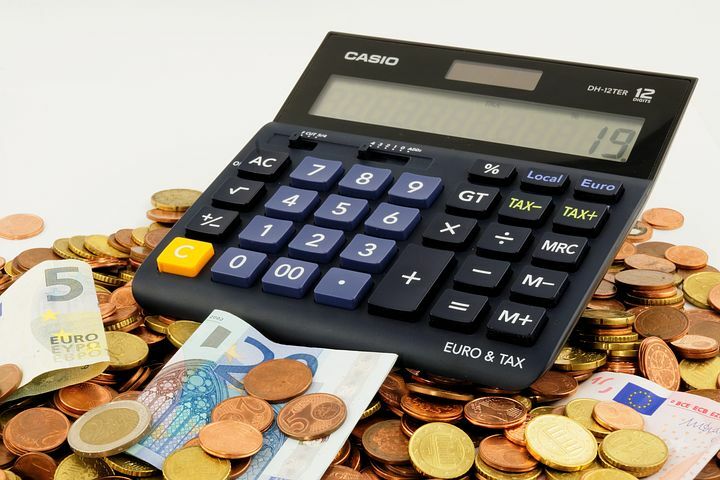 Some great tips here, I have a similar post over at DynamicDad.uk on how the average family can save up to £3,000 a year by looking at the above plus energy and transport, amongst other outgoings. 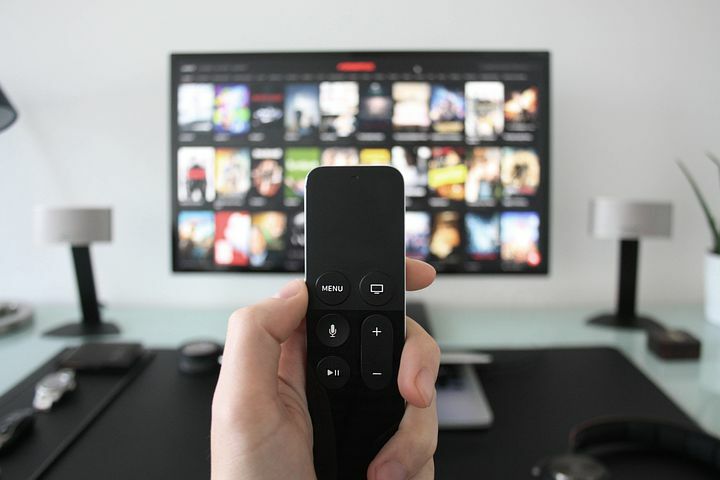 These are great tips, We have turned to online tv services, the same choice whenever I want. I skim the change from my current account to a savings account, it is amazing how quickly the change adds up. Great tips! I would try my best to do those things. Thank you so much for sharing!